A popular belief holds that marriages are made in heaven – that every individual has his or her destined partner waiting somewhere. This is essentially fairy tale-like! But, what if this predestined partner belongs to a different caste? In India, where caste differences play a vital role in dictating the norms of survival, in what manner are such marriages seen? 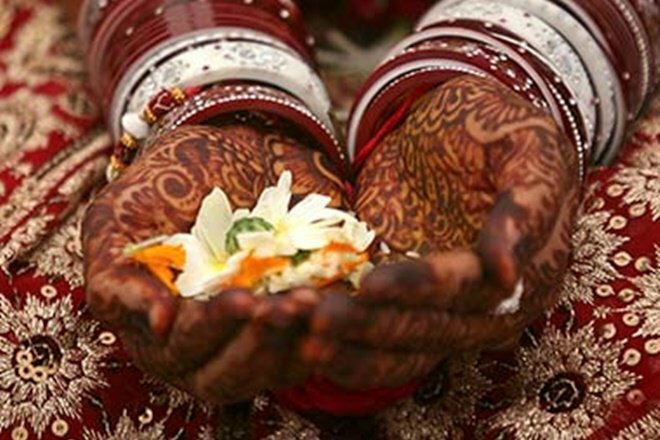 An inter-caste marriage is a union of two people, each coming from two different castes. The wedding thereby fosters grounds for an assimilation of distinct practices and norms of each. But, the rigid and authoritative caste system of India forbids an eligible boy or girl from marrying outside his caste, so as to rigidly maintain the standard and place held by the respective castes in society. However, in recent times with the support and encouragement given by certain politicians and social activists, as well as the spread of education, inter‑caste marriages are being accepted by more people. According to a survey done in 2014, amidst marriages in India, about 5% involve couples belonging to separate castes. Moreover, according to the Special Marriage Act enacted by the Parliament, a special form of marriage, regardless of castes or religion, is provided for all Indians, living in the country or abroad. The caste system originated with the noble aim of bringing about order and regularity in society; but down the ages, it has resulted only in widening the gap between the privileged upper castes and deprived lower castes. A couple, by embracing an inter-caste marriage, breaks this unjustified difference and lets everyone stand on a common platform. Since each partner comes with his individual beliefs, values, and norms while trying to imbibe new habits, they learn a lot regarding adjustment or acceptance, and this positive outlook ultimately toughens their bond. Suppose a Brahmin boy marries a Shudra girl, just as he gets a chance to participate in the various rituals followed by his bride, so too can the girl enjoy the auspicious ceremonies, held sacred by him. Eventually, such vibrant celebrations not only help in bringing the two families together but broaden one’s attitudes towards life. Several studies have proved that kids born of parents of different castes are sharper and smarter than those of same caste marriages. This is because, in the former, two individuals belonging to separate castes bring along with them distinct genes, whereas, in a marriage of same castes, the similar set of genes mingle. An Indian gives supreme importance to his family and thus marriage, one of the major decisions of his life, invariably involves the unfailing indulgence of his household members. Consequently, when an inter-caste marriage occurs without the consent of one’s folks, the unfortunate couple has to confront problems such as ignominy and isolation. They may even become outcastes in their own family, left to fend on their own. The alliance of two people coming from two diverse backgrounds undoubtedly helps them to materialize their love. But the deep rift created between two families may build up unavoidable feelings of repentance and loss in the couple. Thus, lost in a maze of not knowing how to convince their parents, there ensues a prolonged strain that never allows them to attain complete happiness. When a girl begins her process of knowing the new patterns of her culturally different family, she initially stumbles. If, to this early failure, adds the unsympathetic comments of discontented in-laws, then much of the positivity evaporate. Simultaneously, in the absence of supporting in-laws, a boy too might feel alienated and guilty. Slowly, boredom and irritation creep in, and life seems a struggle. An honor killing, or cold-blooded murder of a couple from two different castes, in the name of safeguarding the honor of the family, is still practiced in certain regions of India. And, one of the primary causes of such a brutal system is inter-caste marriages. However, Modern India is becoming more and more tolerant towards the idea of a boy and girl from two different castes getting married, and nowadays, we see lots of such couples living happily ever after. Marriage is a lifelong journey taken by two adults who love, respect, and understands each other. Now, the sojourn may be eventful or interrupted by obstacles; but in no way are the problems dependent, related or determined by caste. Inter-caste marriages are normal procedures, and they should be allowed in due regard of those who prefer it and also for the advancement of our nation.